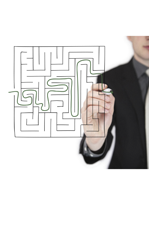 An integrated marketing program requires a tightly managed implementation process. MMI Group manages the finest details of every campaign, from setup and compliance to quality assurance and reconciliation. Monitoring: Once marketing begins, we take a hands-on approach to monitoring performance, testing new tactics as necessary, and calibrating each component of our marketing efforts to optimize results. We perform quality assurance and compliance to ensure a positive customer experience and that every sale is valid and verified by our compliance standards. We remedy any issues immediately before they become problems to ensure the satisfaction of our clients and their customers. Reconciliation: MMI provides comprehensive reporting on marketing results. We document and verify all invoices and match them to actual performance. We reconcile all sales reports to actual customer applications, and we ensure every dollar of compensation owed to our client is recognized and paid in a timely manner.